Factory For Rent In Subang Jaya Industrial Park. Warehouse For Rent In Section U1, Shah Alam. Warehouse For Rent In Section 16, Shah Alam. Warehouse For Rent In Section 15, Shah Alam. Warehouse For Sale/Rent In Hicom Glenmarie, Shah Alam. New Warehouse/Showroom For rent In Subang New Village. Menara Standard Chartered, Serviced Office, For 155 pax, Near MRT & Monorail. Factory With Big Vacant Land For Rent In Section 16, Shah Alam. Warehouse For Rent In WestPort Industrial park, Port Klang. Warehouse For Rent In Section 13, Shah Alam. 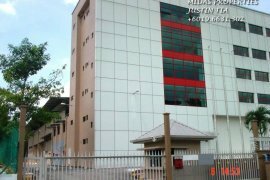 Factory For Rent In Bukit Raja Industrial Park, Shah Alam. Factory For Rent/Sale In West Port Ind'l Park, Port Klang. West Port Industrial Park, Factory For Rent/Sale. Factory/Warehouse For Rent In Pandamaran, Port Klang. Factory/Warehouse For Rent In Section 15, Shah Alam. New Factory For Rent In Pulau Indah, Port Klang. New Warehouse For Rent/Sale In Bukit Jelutong, Shah Alam. 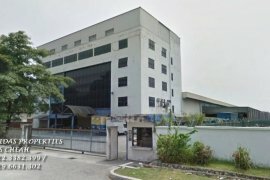 Factory For Rent In Subang Jaya Industrial Park, Subang Jaya. Showroom/Office For Rent In Section 13, Petaling Jaya. Menara 2, KL ECO City, Serviced Office, For 150 pax, Near LRT. Warehouse For Rent In Section 23, Shah Alam. Agriculture Land For Rent In Section 32, Shah Alam. Warehouse For Rent In Section 22, Shah Alam. Dot Property is Malaysia’s leading real estate rental resource, listing 3,448 affordable properties for rent in Malaysia. Properties range from condominiums, houses, townhouses and villas. Rental property listings are provided by Malaysia’s top real estate agents, professionals and private home owners. Find your perfect home by refining your search with the tools provided, Dot Property allows users to filter by price, location and the amount of rooms. You can also create your own rental listing by uploading your property for rent in Malaysia by creating a free account. In addition to Malaysia’s property for rent, Dot Property also hosts thousands of properties for sale, commercial listings and new homes.